The marketing mix is one of the most commonly used strategic marketing instruments, which allows companies to pursue their marketing objectives in the target (Proctor, 2014). As it can be observed from the figure above, the marketing mix or the 4Ps of marketing is a combination of factors in four major groups or dimensions, namely product, price, place, and promotion (Kotler and Keller, 2009). By analysing these dimensions, organisations are able to define their marketing options and make sure their products meet ever-changing customer needs and demands. At the same time, as noted by Proctor (2014), the applicability of this theoretical model to services is questionable as it overlooks the role of employees and processes in service delivery. Hence, the analysis of the services provided to Tesco customers is beyond the scope of this report. Tesco has a well-diversified product range, which is in line with its corporate strategy to become a one-stop solution for all its customers’ shopping needs as well as financial, communication and other services (Tesco, 2018a). As a result, the company successfully covers many market segments, from the low-end (e.g. Tesco’s own Everyday Value line) to the high-end (e.g. Finest brand), to the point where these two brands have become the largest UK food brands (Tesco, 2018e). In response to the worsening economic situation, Tesco has focused on a reduction of third-party products to improve its operational efficiency (i.e. the 30% range cut in 2015) and development of its own brands to strengthen customer loyalty (e.g. the Technika and Chokablock brands ) (Tesco, 2018e; Wood and Butler, 2015). However, this massive cut of the range signals the inadequacy of the range expansion process in the first place, so the company should investigate its supply management. In addition, this strategic action threatens Tesco’s competitive position as its rivals such as Sainsbury’s, Walmart and Asda offer a wider product range to consumers (Walmart, 2018a; Tesco, 2018d). The management employs the cost leadership strategy across all of its products, offering Tesco’s range at minimum prices. This is achieved via economies of scale and the systematic review of individual performances of stores and products. In addition, timely responses to changing market conditions and the introduction of new products, which secures the first-mover advantage, have also allowed Tesco to reduce costs (Vecchiato, 2015). The applied examples of this strategy are the 2016 shelves optimisation, which resulted in the 3% decrease in the operational costs of an average weekly store, and the introduction of Tesco’s own vegan brand, Wicked Kitchen, following the vegan trend (Smithers, 2018; Tesco, 2018e). The strategy is further complemented by the efforts to dynamically optimise marketing expenses, following the customers’ feedback, and by the Brand Guarantee programme, which ensures that consumers get the lowest price on the market (Tesco, 2018b). At the same time, a weak focus on the high-end segmentation (e.g. the Finest line) can be viewed as one of the main drawbacks of Tesco’s pricing model. This limitation could be overcome by the introduction of dedicated high-end sections within stores (Fruitnet, 2013). Tesco employs over 310,000 employees in more than 3,400 stores across the UK (Tesco, 2018e). It possesses a variety of different store types to address the specifics of various locations, each with its own variety of products and services (e.g. coffee to go). Higher margin products are sold at higher prices in Tesco Express, while better deals and better variety can be found in Tesco Superstore (Wood, 2017). In addition to physical stores, Tesco sells its products and services online (e.g. Tesco Delivery Saver and Tesco Bank) (Tesco Bank, 2018; Tesco Groceries, 2018). While the ‘brick-and-mortar’ presence of Tesco is strong, the strength of its position on various digital platforms is not so considerable and should be given closer attention by the management. Such issues as dated apps and missing key functionality (e.g. scheduling orders) significantly limit Tesco’s ability to effectively address the needs of its customers (Tesco, 2018c). Regarding the promotion dimension of the marketing mix, the brand image of Tesco is based on the idea of low prices, which supplements its cost leadership strategy. Tesco uses a broad variety of different media (e.g. print, TV-ads, and YouTube ads) for advertising, forming a coherent marketing system, which emphasises the competitive pricing of the brand (Referral Candy, 2016). The cost leadership strategy is further complemented by Tesco’s loyalty programme, Clubcard, which offers a wide variety of promotions and discounts. This programme allows the company to better manage its stock and segment and target its customer base with personalised offers (The Drum, 2017). At the same time, this strategy should be executed with caution, as it can be perceived as spam. In addition, Tesco’s competitors also offer a variety of loyalty incentive programmes, which provide their customers with rewards and bonuses (Walmart, 2018b). This means that Tesco should develop a more progressive and innovative reward scheme, specifically for repeated home deliveries, to win customers and build strong brand loyalty. The marketing communications mix is another strategic marketing framework that involves a variety of instruments, with the help of which companies deliver information about their brands, products, and services to consumers (Kotler and Keller, 2009). In accordance with Tesco’s cost-minimisation efforts, its marketing budget was cut steadily, decreasing from the 2013 level of £110 million to only £77.7 million in 2015 (Vizard, 2016). This was primarily achieved by switching from print, radio, and TV towards social media marketing (SMM), increasing Tesco’s capacity for personal and direct interaction, as well as the collection of feedback (Smart Insights, 2017). Although the exact figures are unavailable, it is speculated that the shift was 1:1, which signals a major transition in the company’s advertisement strategy (Vizard, 2016). This shift comes from the fact, that Tesco has recently employed a new marketing vision with a strong emphasis on the personal experience (Tesco, 2018e). Its entire marketing system is being changed towards this new direction (e.g. mobile apps provide personalised suggestions, personalised cards and promotions are sent during holidays), with the goal to satisfy and get trust of customers by providing them with their own niche experience (Referral Candy, 2016). It should be noted that despite all its efforts in this regard, the transition towards fully functioning SMM system is yet to be completed. The absence of cooperation efforts with social media stars on various platforms, such as Instagram, YouTube and Snapchat is among the key reasons why Tesco’s transition has not been successfully completed (Facebook, 2018). Tesco holds a comfortable lead regarding the market share for a prolonged period of time, which can be seen from Figure 3. Currently Tesco is preoccupied with the product development strategy, as according to the Ansoff Matrix (Proctor, 2014). Tesco utilises the feedback collected through its Clubcard loyalty system, as well as the extensive market research to identify gaps in the market and design and create its own venture brands in response (i.e. offering new products to newly identified niche markets) (Tesco, 2018e). The goal is to produce products not associated with the main Tesco brand in order to sell them in non-competing retailers. Given the success of these products, they can be also used to increase customer loyalty by introducing exclusive distribution rights. At the same time, this will cause a direct trade-off between the exclusiveness and the brand exposure (Referral Candy, 2016). Another focus of Tesco’s market development is its delivery service based on online sales. The company has recently introduced the same day delivery option for its customers, which explicitly represents the development of the market (Withers, 2018). However, this option is not available for all consumers, which can be viewed as a drawback of Tesco’s marketing. The further development of subscription-based services is suggested as it would bring the operational costs down by improved planning and logistics, which will complement the company’s cost leadership strategy. While Tesco’s marketing strategy has proved its effectiveness in creating and maintaining competitive advantage, it is relevant to conclude that some aspects of its recent shift in the marketing are questionable. Based on the analysis outcomes, it can be recommended that Tesco should give closer attention to SMM by increasing its presence in the social media environment. This could be done by collaborating with social media stars and creating content specifically designed for social media platforms, such as Facebook, Instagram and YouTube. 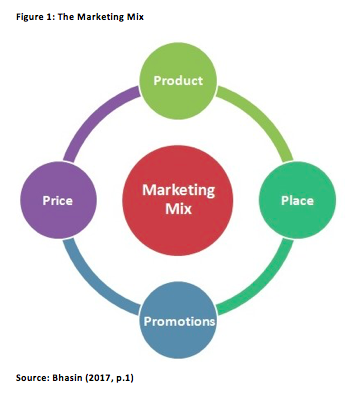 Bhasin, H. (2017) “Marketing Mix – The 4P’s of marketing”, [online] Available at: https://www.marketing91.com/marketing-mix-4-ps-marketing/ [Accessed on 2 November 2018]. Drum, The (2017) “Tesco bags Uber & Hotels.com as part of contactless Clubcard launch”, [online] Available at: http://www.thedrum.com/news/2017/07/05/tesco-bags-uber-hotelscom-part-contactless-clubcard-launch [Accessed on 2 November 2018]. Facebook (2018) “Tesco PLC”, [online] Available at: https://www.facebook.com/tesco/ [Accessed on 2 November 2018]. Fruitnet (2013) “Tesco Finest brand relaunched”, [online] Available at: http://www.fruitnet.com/fpj/article/159575/tesco-finest-brand-relaunched [Accessed on 2 November 2018]. Kotler, P. and Keller, K. (2009) Marketing Management, New Jersey: Pearson Prentice Hall. Proctor, T. (2014) Strategic marketing: An introduction, Abingdon: Routledge. Referral Candy (2016) “How Tesco Became the UK’s Biggest Retailer via Word-of-Mouth - Word-of-Mouth and Referral Marketing Blog”, [online] Available at: https://www.referralcandy.com/blog/tesco-marketing-strategy/ [Accessed on 2 November 2018]. Smart Insights (2017) “How Tesco turned its marketing strategy around”, [online] Available at: https://www.smartinsights.com/online-pr/reputation-management-online-pr/tesco-turned-marketing-strategy-around/ [Accessed on 2 November 2018]. Smithers, R. (2018) “Tesco launches own-brand vegan range amid rise in plant-based eating”, [online] Available at: https://www.theguardian.com/lifeandstyle/2018/jan/08/tesco-launches-own-brand-vegan-range-amid-rise-in-plant-based-eating [Accessed on 2 November 2018]. 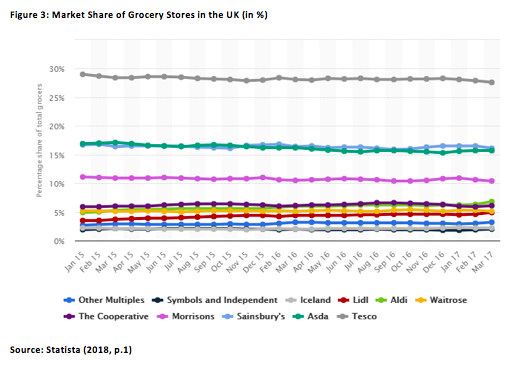 Statista (2018) “Great Britain: Grocery market share 2015-2017”, [online] Available at: https://www.statista.com/statistics/280208/grocery-market-share-in-the-united-kingdom-uk/ [Accessed on 2 November 2018]. Tesco (2018a) “Site-map”, [online] Available at: https://www.tesco.com/help/site-map/ [Accessed on 2 November 2018]. Tesco (2018b) “Tesco Brand Guarantee”, [online] Available at: https://secure.tesco.com/brandguarantee [Accessed on 2 November 2018]. Tesco (2018c) “Apps & Mobile Web - Shop on the go”, [online] Available at: https://www.tesco.com/apps/ [Accessed on 2 November 2018]. Tesco (2018d) “The official website”, [online] Available at: https://www.tesco.com/ [Accessed on 2 November 2018]. Tesco (2018e) “Annual Report and Financial Statements 2018”, [online] Available at: https://www.tescoplc.com/media/474793/tesco_ar_2018.pdf [Accessed on 2 November 2018]. Tesco Bank (2018) “Tesco Bank - Personal Finance - Banking and Insurance”, [online] Available at: https://www.tescobank.com/ [Accessed on 2 November 2018]. Tesco Groceries (2018) “Groceries iPad app”, [online] Available at: https://www.tesco.com/apps/ipad/groceries/ [Accessed on 2 November 2018]. 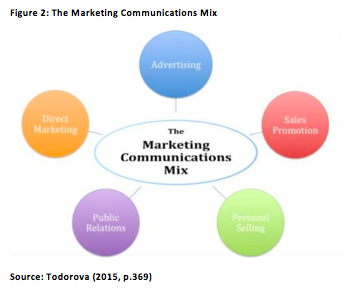 Todorova, G. (2015) “Marketing communication mix”, Trakia Journal of Sciences, 13 (1), pp. 368-374. Vecchiato, R. (2015) “Creating value through foresight: First mover advantages and strategic agility”, Technological Forecasting and Social Change, 101 (1), pp. 25-36. Vizard, S. (2016) “How the Tesco brand recovered from crisis”, [online] Available at: https://www.marketingweek.com/2016/04/18/how-the-tesco-brand-bounced-back-from-crisis/ [Accessed on 2 November 2018]. Walmart (2018a) “The official website”, [online] Available at: https://www.walmart.com/ [Accessed on 2 November 2018]. Walmart (2018b) “Saving Catcher”, [online] Available at: https://savingscatcher.walmart.com/ [Accessed on 2 November 2018]. Withers, I. (2018) “Tesco launches same day delivery across the UK”, [online] Available at: http://www.telegraph.co.uk/business/2017/07/24/tesco-launches-day-delivery-across-uk/ [Accessed on 2 November 2018]. Wood, Z. (2017) “War of convenience as supermarket chains take on small stores”, [online] Available at: https://www.theguardian.com/business/2017/feb/04/convenience-stores-tesco-booker-deal [Accessed on 2 November 2018]. Wood, Z. and Butler, S. (2015) “Tesco cuts range by 30% to simplify shopping”, [online] Available at: https://www.theguardian.com/business/2015/jan/30/tesco-cuts-range-products [Accessed on 2 November 2018].